Whether you intend to put it inside or outside, choosing the best dog house is important to keep your pooch happy and safe. You need to provide a suitable shelter for your dog. It can also be a good place for him to play in and just rest. 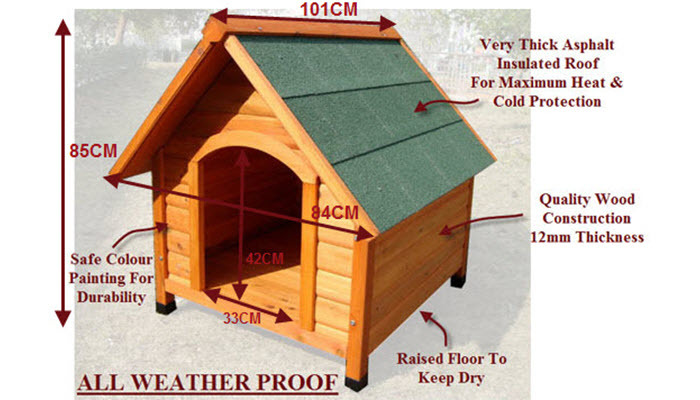 There is a wide variety and types of dog houses, with different shapes and sizes. We’ve made a list of the best options that you can buy online. Dog houses can be expensive so it’s important that you invest in a good one. If you still don’t know how to make your dog stay in a dog house, you can check these tips on how to get your dog to like his doghouse. If you also have cats, you may find this guide on the best cat scratching post useful. Moreover, if you have rabbits, you may check out our take on the best rabbit hutch available on the market today. Our number one pick is the Suncast DH250 Dog House. 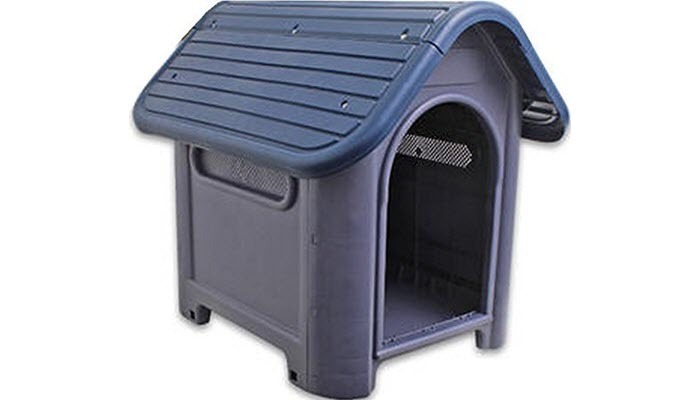 This dog house has a durable resin construction that will keep your dog safe from harmful elements. It features a crowned flooring so it stays stable on the ground and would not wobble when your dog gets in and out. This is suitable for dogs up to 70 pounds. It’s simple to assemble with an easy-snap system so you can set it up in a few minutes. It includes a vinyl door so your dog will feel like he’s home every time he walks in. It has a nice neutral color so this will go well with your backyard or your home furniture. Next on our list of choices is the Merry Wood Pet Home. This has a really nice wood design perfect for indoor or outdoor use. The dog house is made from kiln-dried cedar and is treated with natural color stains. If you have a lot of wooden furniture, this would go really well with your house’s design. 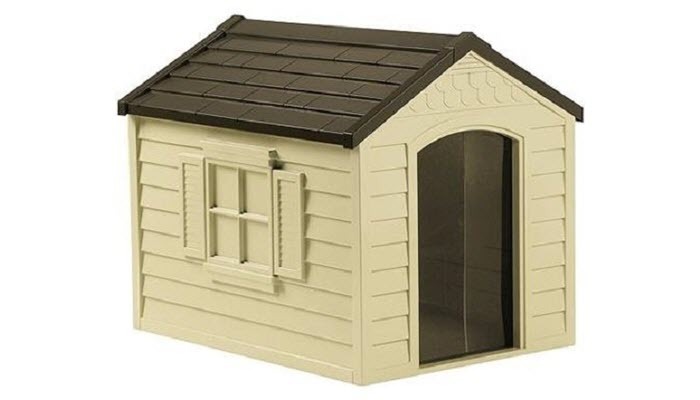 This dog house is suitable for smaller pups and miniature or toy dogs. 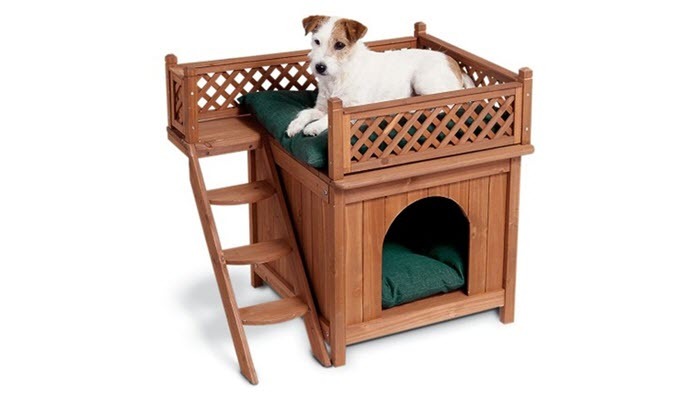 The dog house has two levels where your dog can sleep and rest, and has a little flight of stairs which would be fun for him to climb when getting on the top floor. It looks elegant and is very durable. Another great model is the Petmate Indigo Dog House with Microban. This dog house looks really cool with its igloo design and would impress your neighbors if you put it in your yard. 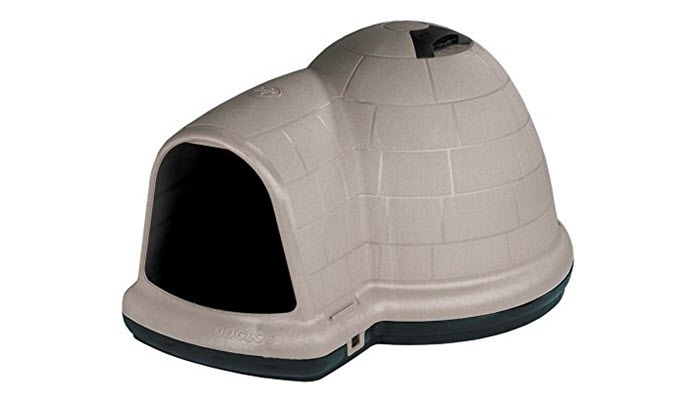 It has a heavy duty construction to keep your dog safe from outdoor elements. It features Microban which help keep stain growth and odor causing bacteria, mold, and mildew so your dog is fresh and clean at all times. The dog house includes an extended doorway which would keep your dog safe from the wind and rain during the rainy season. It also has good roof ventilation to allow air flow to keep him cool during hot days. 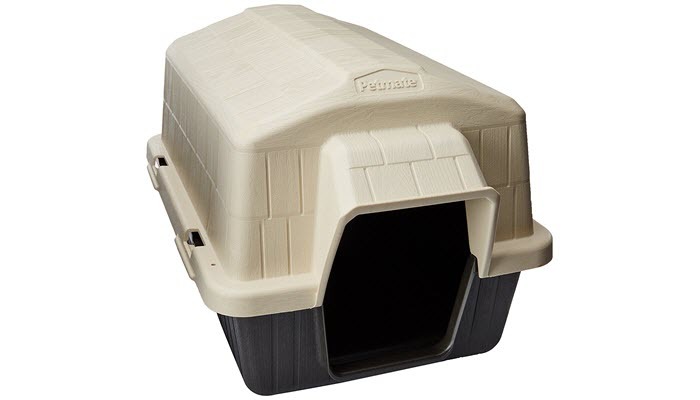 If you want something simpler, the Petmate Barn III Dog House is a good alternative. This one has no fancy features but has all the essentials your dog needs for a proper home. It has a barn design that would look great on your backyard. The rear air ventilation promotes air circulation to keep your dog cool when it’s sunny outside. It has an extended rim on the roof to keep him dry when it rains as well as a raised interior flooring to keep puddles from coming in. The dog house also has good insulation so he can be warm during winter. If you’re looking for a doghouse that’s mainly for outdoors, the Petsfit Dog House is the perfect choice. This one is a little bit more expensive but has a really good design that’s suitable outside your home. 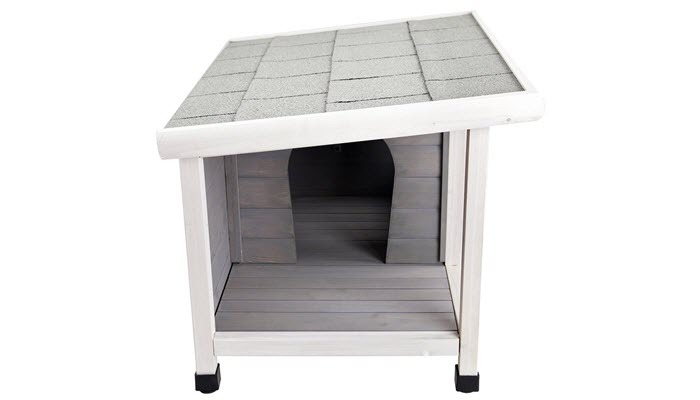 It features an asphalt roofing so your dog is secure and safe. The paint of the wood is water-based so your dog does not ingest any harmful chemicals. 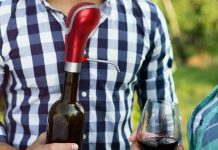 It features adjustable feet so it’s easy for you to place it securely on the ground. 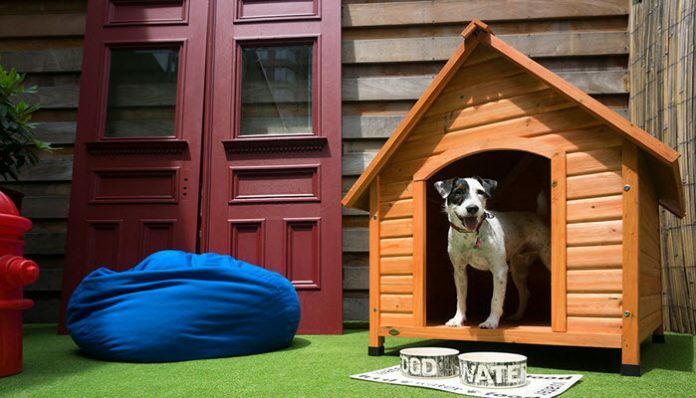 This dog house is only suitable for smaller dogs or toy dogs. Our pick that’s easy on the pocket is the Always-Quality Indoor Outdoor Dog House. It’s a great affordable alternative that will still be a lovely home for your pet. It has a durable construction with a raised flooring to protect him from water that might come in when it’s raining. The surface is smooth so it’s easy to clean. This dog house looks really attractive for its price. Just as you would want your home to be safe and comfortable, you should also think of the same considerations for your pet. Especially if you intend to place the doghouse outside, you need to make sure that it will protect your dog from outdoor elements and weather conditions. There are different factors to consider to make sure that you provide an appropriate shelter for your beloved canine. First, you need to determine whether you would place your dog house inside your house or outdoor. Indoor dog houses usually require less when it comes to protection. It’s enough that they have a comfortable space for resting. But when you’re putting it outdoors, you need to make sure that it has proper roofing, ventilation, and insulation. Dog houses are made of different materials. Plastic may be flimsy but if you choose a high grade one, it can be very durable and is usually weatherproof. Wood is traditional looking and can be really elegant especially indoors. It would look great if you have matching wooden furniture. 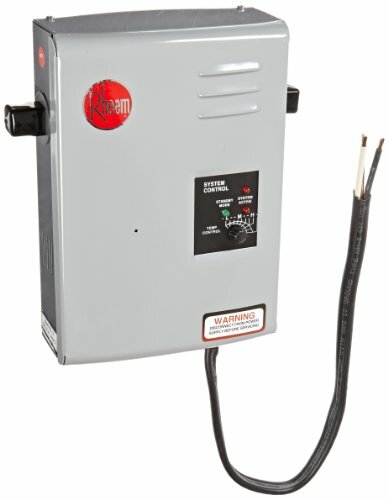 Though when it’s placed outside, you may need to maintain it especially when it rains a lot. There are also canvas dog houses which are more appropriate indoors. These can be portable and are great when camping so you ca bring your pups along. You need to make sure that the doghouse is the right fit for your dog. Some dog houses are only suitable for toy dogs so if you have a bigger dog, you need to choose one that has enough space for him to move in. It’s important that there is proper ventilation inside especially during hot weather. During the winter however, you need to make sure that the dog house will keep him warm. A raised flooring is ideal for outdoor dog houses. This will keep water from coming in when it rains. The roof also needs to be extended to keep the rain from dashing inside. Essentially, your dog needs to be comfortable and he needs to like it so he will actually stay inside the dog house.